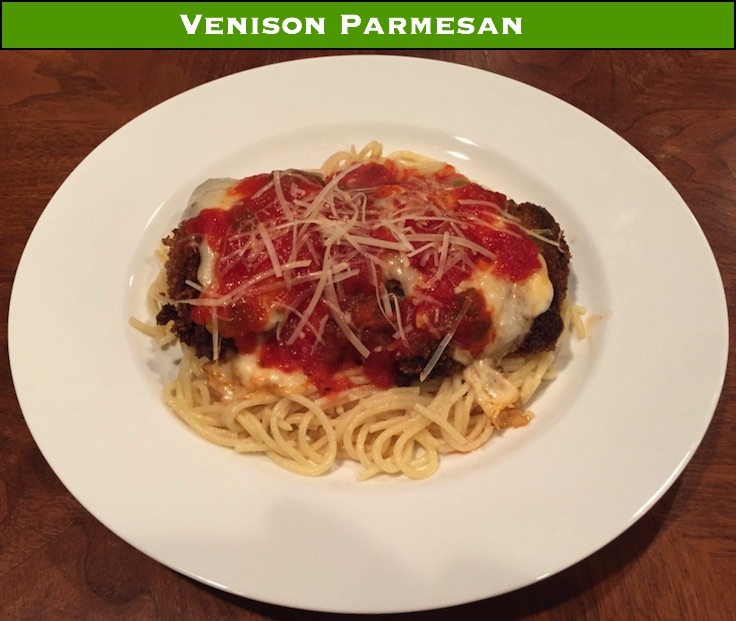 Venison parmesan is surprisingly easy to make, and if you are looking to introduce someone to venison, this is a first impression they are sure to love. While I come from a family of hunters, I didn’t start hunting till I was in my mid 20’s. My father passed away when I was young, and we had moved around the state as I was growing up, so I wasn’t geographically near my family that did hunt. I can recall stories of us eating venison from when I was a kid, but I don’t truly remember eating any venison meals. So when I started hunting and got my first deer, learning how to process it and cook it was a bit of a trial by fire experience. I had this impression in my head that a venison meal was a VENISON meal: cook a hunk of deer up and eat it. Throw it on the grill, or throw it in the oven, nothing fancy, just some good ol’ cooked meat. Now, I do truly like venison. But it turns out, just plain old cooked venison, well… isn’t that great. If you think about it though, what meat is? Can you throw a slab of pork or beef on the grill and just expect it to taste good? Odds are, you are going to treat your pork or beef as an ingredient in your meal. You’ll marinade it, tenderize it, process it, glaze it, bread it, etc, etc. And for good venison meals, you need to do the same thing – treat it as an ingredient in the bigger picture of the meal. 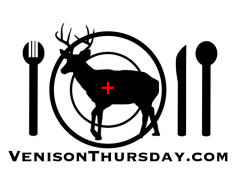 This may seem like common sense, but as I talk to people (especially non-hunters) about deer hunting and eating venison, they seem to have that same mis-conception I had when I started hunting. And that’s typically not a positive impression in their minds. So in the effort of furthering the cause of letting people know how good venison can be, here is a venison meal where the deer is the star of the show, but plays with a whole cast of characters that stop it from being a VENISON meal and make it a GREAT meal. For our venison parm, we are going to go with a cut of loin. 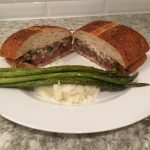 This is a quickly cooked meal, so you need something that is going to be tender without a lot processing or slow cooking. Use the tenderizing process I covered here, on a section of loin that is about 6 to 8 inches long and you will have enough meat for two big eaters, or four normal sized portions. Rolling pin = meat tenderizer! 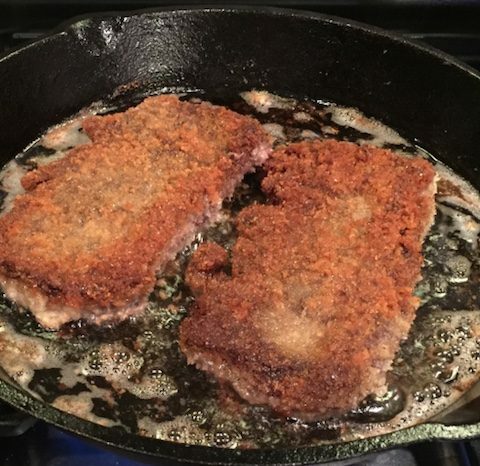 When you pound them flat, make them a little thinner than normal because they will contract and thicken back up a little when they hit the hot oil. A half inch is good – but this is a fine line as the loin can start to shred as it get’s to that thickness – so this is a judgement call. 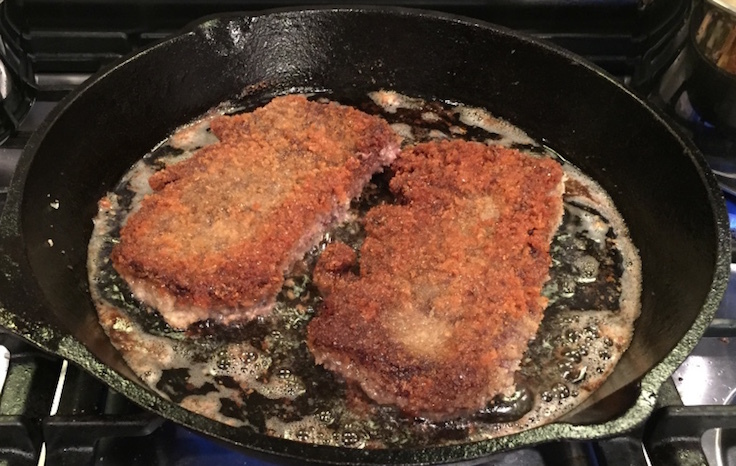 Learn how to pan fry venison loin and you may never want to grill it again. some kind of cheese to “parm” it with – mozzarella or provolone work well. Take your tenderized slices of loin, pat them with olive oil, and generously season them on both sides with the salt, pepper, onion powder, and garlic powder. Preheat the oven to 400°. Get water going for your pasta, and get your sauce on the stove. The loins will take about 15 minutes to cook from start to finish. Put about a quarter inch of vegetable oil in a pan (cast iron is always a good choice) and heat it over medium high heat. 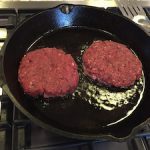 You will be quick frying the venison, then popping it in the oven, so you can do multiple batches if you need to – the venison will be heated again in the oven. Whip the eggs into an egg bath in one bowl, and put about a cup of panko bread crumbs in another. When the oil is hot, dip the venison in the egg bath (thoroughly cover), then hit it in the panko, then toss it in the pan. Fry it just a couple minutes on each side – the oil should be hot enough that it gets nice and brown and crispy in about two minutes per side. Your pasta should be cooking by now. Once you’ve fried the venison, place it on a baking sheet. If you are doing multiple batches, keep adding them to the baking sheet, but don’t put them in the oven yet. 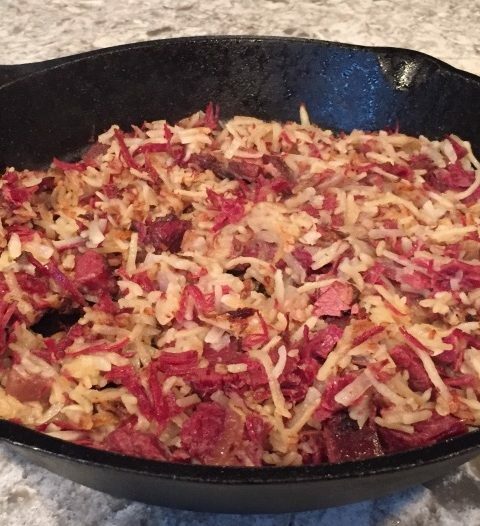 Once all the venison is fried, cover it with the cheese and put the baking sheet in the oven till the cheese get’s nice and bubbly – about 5 minutes. Once the cheese is good, take the venison out of the oven and let is set for just a couple of minutes while you finish up with your pasta and sauce. Serve the venison on a bed of pasta, and cover everything with sauce. Don’t forget to add a bit of grated parmesan on top. Or for a twist, make some garlic bread instead of pasta, and make a venison garlic bread parm sandwich. Did you really think I wouldn’t mention a sandwich somewhere in here? Next Next post: Venison Summer Sausage – Jalapeño and Cheddar, and Fat?